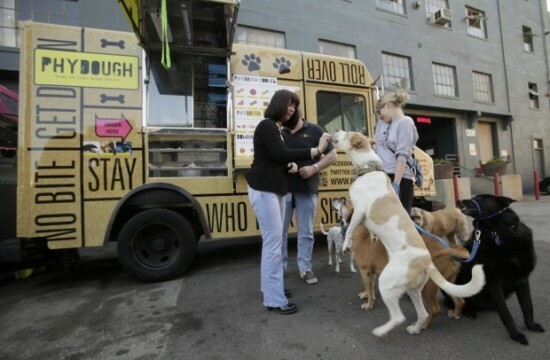 It may not be the first of its kind in the world, but it is the first ice-cream truck for dogs in America, and pooches in the L.A. area have already grown to love it. 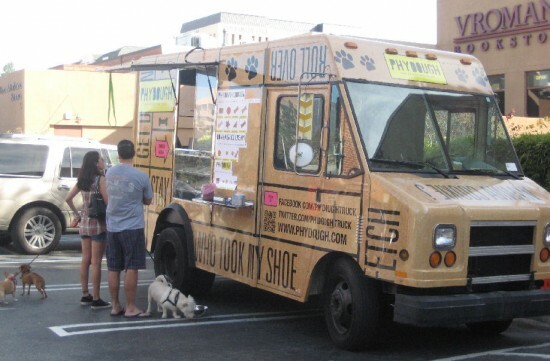 Patrick Guilfoyle, the man behind Phydough, came up with the idea of an ice-cream truck for dogs after seeing most dog-food manufacturers thought more about profit than the dogs eating their products. 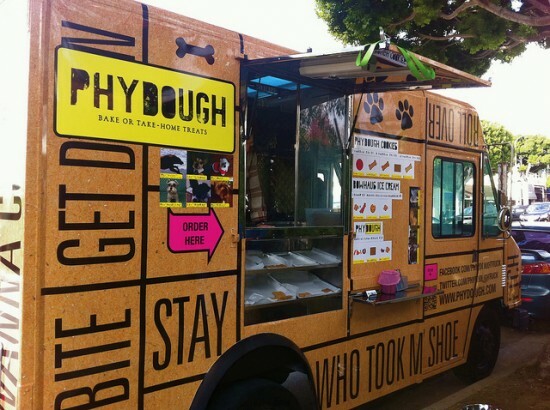 He wanted to bake wholesome, preservative-free cookies for dogs, and by combining his wish with the popular “gourmet truck” trend that’s sweeping the nation, he came up with Phydough – an ice-cream truck offering all kinds of delicious cookies and ice-cream for pooches. According to the official site, Phydough uses only the finest organic ingredients bought from quality grocers like Whole Foods and local farmers’ markets, so while prices may seem a bit steep, you can rest assured your puppy is eating healthy. A scoop of ice-cream costs around $2.50, and you’ll have to spend $16 for 12 flavored cookies, but your dog will love you more for it. 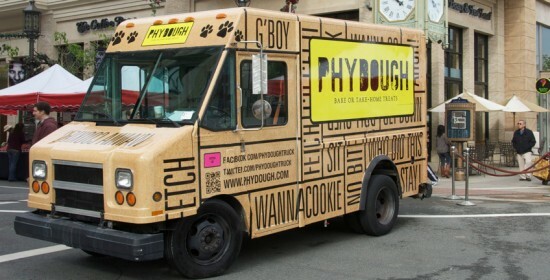 Phydough travels around the streets of Los Angeles, ringing its bell, like the old ice-cream trucks we all remember used to, letting dogies know it’s time for another portion of Peanut Butter and Bacon ice-cream served between mouth-watering Duck Fat flavored cookies. There are a total of 4 ice-cream flavors and 10 different flavored cookies available at Phydough, and people who dared taste them say they are as scrumptious as quality desserts for humans, without the excessive sweetness.